...then hung in the sunshine and air-dried, for a tasty treat. Pitsik, dried fish, is a traditional food of the Inuit. 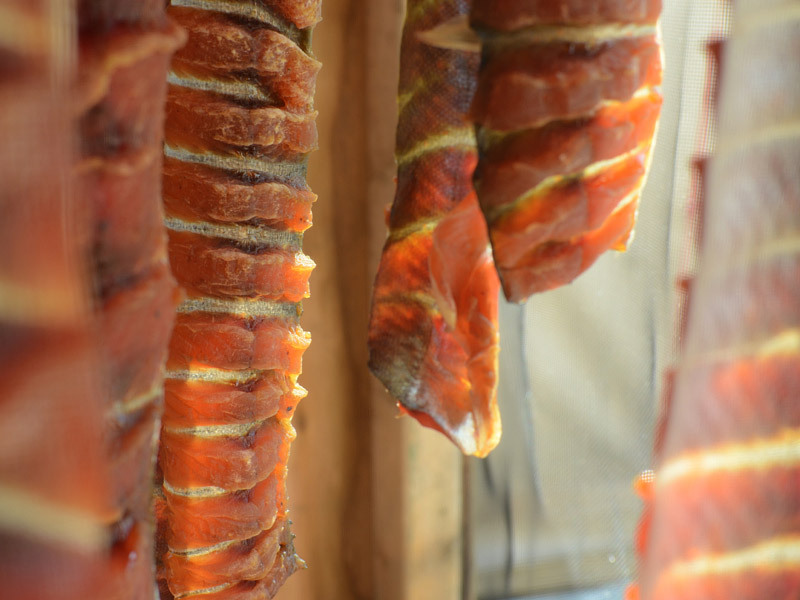 Participants in the kANGIDLUASUk Student Program made a screened drying box for their pitsik and then they caught the char to put in it. Pitsik is a wholesome and nutritious snack - or a meal in itself!